A collection of essays and reviews spanning two decades on matters literary, social, cultural, and personal from acclaimed author Gaitskill. Gaitskill fans will be pleased to learn that the wise iconoclasm of her fiction is also on display in this, her first nonfiction book ... Throughout, Gaitskill is reliably unsparing but never mean, nor clever for the sake of it; even when operating as a critic she retains an artist’s appreciation for the labors of creative work. Those times she trains her eye on her own process, such as in her 2003 essay about the movie adaptation that 'bears almost no relationship' to her short story, 'Secretary,' on which it was based, are particularly satisfying. 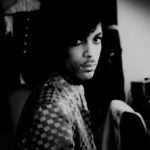 So are the moments when we’re treated to her theories on the purpose of story and form ... Her prescience is agenda-free, but it’s her exceptionally discerning writings on women — Linda Lovelace, Elizabeth Wurtzel, Sarah Palin, Hillary Clinton — that make one wish she had (or even wanted) her own syndicated newspaper column. Gaitskill’s responses are so deeply intelligent, so idiosyncratic yet insightful — can I be blamed for wishing she would turn her gaze to more timely subjects? This is not to say any of this work is without merit, but rather to admit, quickly and sheepishly (even peevishly) that I felt a bit the cherry-picker before a bowl of melon-heavy fruit salad ... That’s how the best of these essays work: as a clanging, double-bell-alarm-clock wake-up call for those of us who have ceased to notice or question or understand our own experiences, who have, indeed, failed to recognize what we are doing to ourselves by wandering through life in a self-imposed fog ... 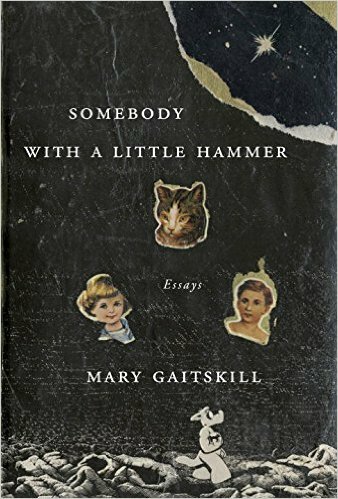 Compelling as Gaitskill’s cultural criticism may be, ['Lost Cat'] is the essay that made me wish for more like it ... here comes Somebody with a Little Hammer, Mary Gaitskill, to demolish not just anyone who would deny us our frailties, but the defenses we ourselves construct to keep our humanity hidden away in the dark. Somebody with a Little Hammer makes the case for Gaitskill's centrality as a writer and burns off dodgy concepts that have stuck to her work. If you have not yet worked through a thought with Gaitskill, Somebody is a primer. It makes entirely clear how seriously she takes the idea of fairness, in life and in fiction, and how averse she is to even the lightest thumb on the scale ... There is no reason you can't skip this and go right to the fiction, except that you'd miss twenty-five years or so of Gaitskill walking you through the facts. Even when you hit some emotional math you'd probably rather round up to save time, Gaitskill won't let you. What did you think of Somebody With a Little Hammer?